Our range of products include fire bucket stand. 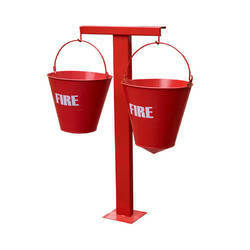 We are the leading manufacturer and supplier of a qualitative range of Fire Bucket Stand. We offer these bucket stands in customized options for fulfilling the needs of patrons. These bucket stands are designed by using quality material in compliance with market norms. Customers can purchase these bucket stands from us at very affordable rates. Looking for Fire Bucket Stands ?